Waymo‘s self-driving cars have driven more than 10 million miles. The company intends to begin a commercial rollout in Phoenix at the end of the year. To support miles driven in the real world, Waymo has amassed nearly 7 billion self-driving miles in simulation. Waymo, once known as the Google Car project, has racked up more self-driving miles than anybody. That makes sense, as the project has been ongoing for about a decade. On Wednesday – 10/10, if you’re numerologically astute – Waymo crossed 10 million miles. “When it comes to driving, experience is the best teacher, and that experience is even more valuable when it’s varied and challenging,” CEO John Krafcik wrote in a Medium post. Impressive, but what Waymo has been doing in the virtual realm is downright astonishing. In computer simulations, Waymo racks up 10 million miles every day. “By the end of the month, we’ll cross 7 billion miles driven,” Krafcik added. Those many, miles have gone from being an indicator of Alphabet’s commitment – with the implicit question attached, for almost 10 years, of what the company would do with them – to being the basis for a commercial ride-hailing service intended to roll out at the end of this year, first in Phoenix and then to other cities. 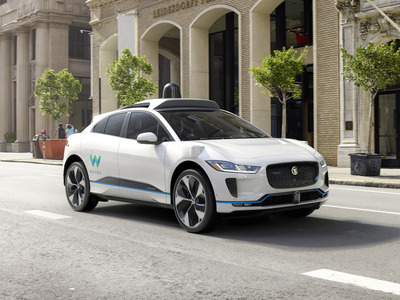 Eventually, Waymo expects to have thousands of self-driving vehicles on the road, including Chrysler Pacifica minivans and Jaguar I-Pace electric vehicles. “While we’ve made great strides thanks to these 10 million miles, the next 10 million will focus on turning our advanced technology into a service that people will use and love,” Krafcik noted. The self-driving competition is picking up. After years when no one was quite sure what Alphabet’s master plan was, everything has suddenly snapped into focus. At the same time, General Motors plans to launch its Cruise ride-hailing service in 2019, and Tesla continues to insist that its self-driving technology, Autopilot, can develop fully autonomous capability.